He Golfs, I Scrap: Halloween! 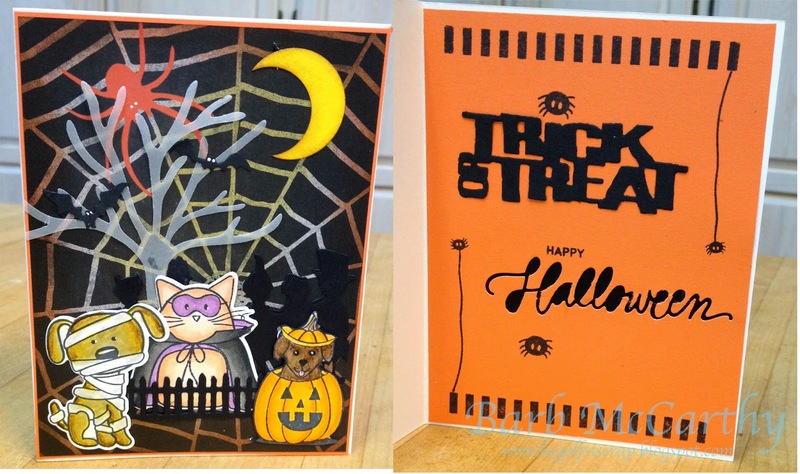 I love making Halloween cards! So much fun! At the same time I took an Online Card Class for Copics. I learned so much about coloring these little critters! WELL DONE, Beejay! I am loving the darling images and how you put them together here! Thanks so much for playing Simon Says Stamp Wednesday “Color Coordinates” Challenge!